Marmosets are small New World monkeys with an adult body length of 14-19cm (not including their long tail) and an average adult body mass of 300-500g. The Common Marmoset is also known as the White-tufted-ear Marmoset or Cotton-eared Marmoset; it has a white blaze on the forehead and white ear tufts. Gums and saps are an important food source for all marmosets. They use their lower incisors to create holes in gum-producing trees, producing a flow of gum from which they feed. 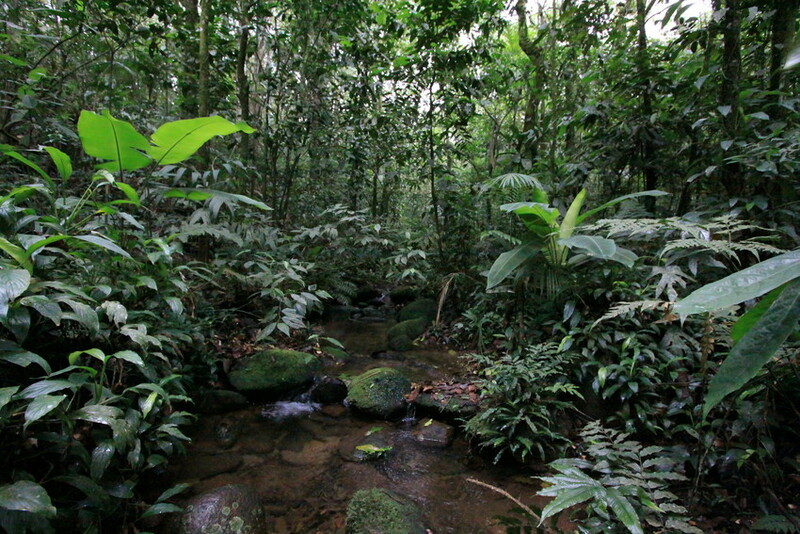 They also feed on fruits, flowers, nectar and small animal prey (including frogs, snails, lizards, spiders and insects). Common Marmosets live in stable groups with an average size of 8-10 individuals. Each group usually contains only one breeding pair: the highest ranking male and female. 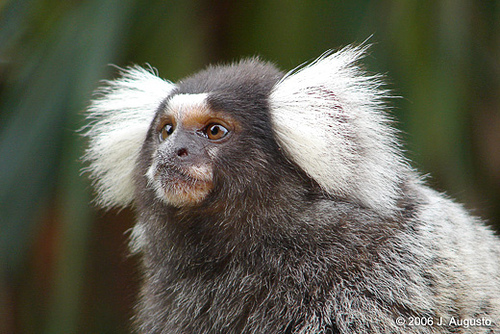 The Common Marmoset is native to the scrub forest and drier Atlantic forest of north eastern Brazil, but has been introduced into many areas outside of its natural range. Common Marmosets are relatively widely distributed and are very adaptable. Populations that have been introduced into areas outside of its natural range may compete with and displace other (native) marmosets. Removal or sterilisation of Common Marmosets may be considered a necessary management strategy in these areas.